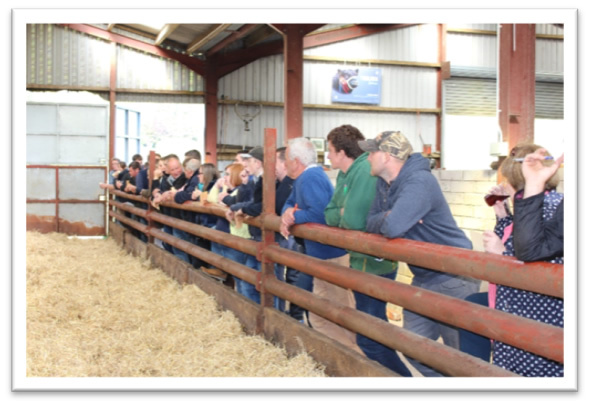 Young Members Stock Judging – Sunday 6th September 2015. 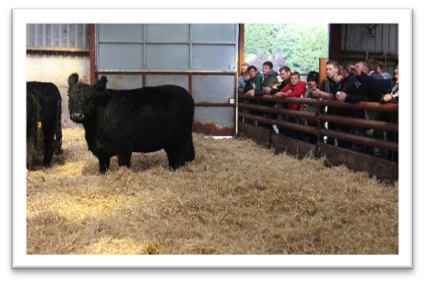 Troloss Farms was the host for our young members stock judging on Sunday 6th September, 2015, situated on the A702, Dalveen Pass, on the border of Dumfries and Galloway and Lanarkshire, the scenery and stock were stunning on this sunny, early autumn day. Farm Manager Joe Cockburn certainly put a lot of effort into turning out the Galloways and Blackface Sheep on show and it was a credit to him. The 40 odd people who attended had a great afternoon and enjoyed the best of stock with five classes of Galloways and three classes of Blackface sheep, which was very ably judged by Ann and John Finlay of Blackcraig, Corsock. Overall winner was Young Member Miss Kirsten Wallace, Fingland Farm, Dalry Castle Douglas, she received a voucher sponsored by Wallets Marts (Castle Do uglas), second in the young members was Andrew Tullie, Bowanhill, Teviothead and third was William McCornick, Barquhill, Newton Stewart. The open section was won by Michael McCornick, Barquhill, second was Malcolm Jarvie Dumfries and third was Logan Ross, Romesbeoch, Shawhead. A special prize for the reason class sponsored by Chairman Scott McKinnon was won by Andrew Tullie. 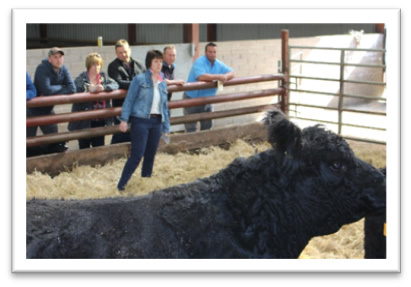 We are very much indebted to Joe and the Weatherall Family for hosting this event, our sponsors, Wallets Marts (Castle Douglas) United Auctions and Lawrie & Symington, the judges, Ann and John Finlay and Carolyn Ross.